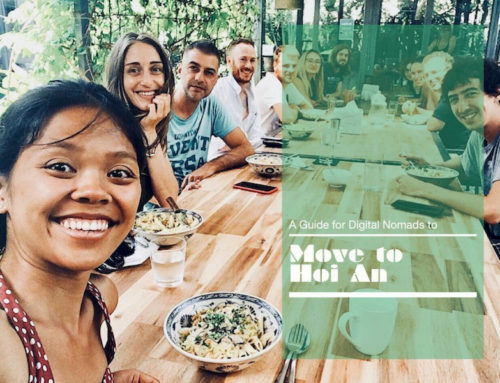 Is Hoi An the next digital nomad hotspot? Hoi An is famous for its colorful lanterns, tailor-made fashion, and cycling through its paddy fields. This cute little town, near the white beach of An Bang, enjoys an increasing amount of remote working travelers thanks to the constantly improving infrastructure of the city. Once you’ve settled in one of the beautiful homestays in Hoi An, and you’ve found your way through the alleys of the Old Quarter, picking up a new pair of tailor-made pants, you will probably think of extending your stay. You’ve fallen in love with the beauty of this town with its farmers and fishermen, its market vendors, and your homestay family. I know this feeling. It happened to me long time ago. Lucky you as you’ve chosen the freedom to live and work where ever you want. One or two clicks on Airbnb and your stay is extended for another month. Or two. 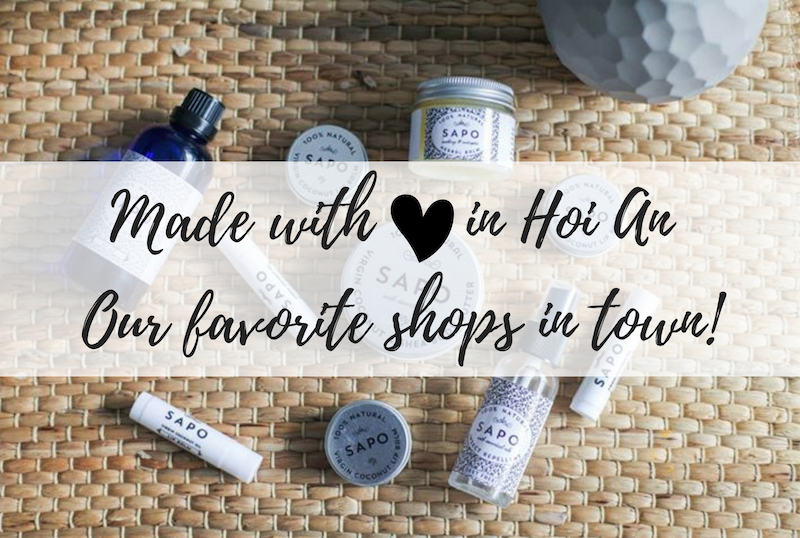 Then besides temples and tailors, Hoi An offers a lively community of foreigners and local Vietnamese, living and working a bit outside of town. 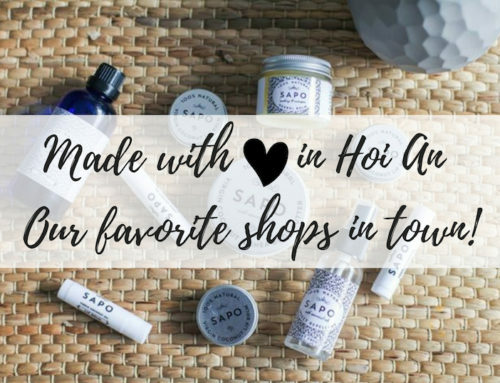 The outskirts are the hidden gems of Hoi An and the reasons why most people fall in love with this paradise. 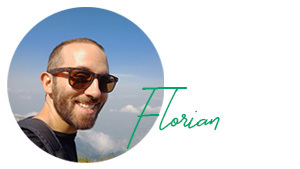 Here are my personal 8+1 reasons to work from Hoi An. Once you have seen the hustle and bustle of the Old Quarter, it is time for most tourists to continue their travels. Lucky you, as you’ve chosen the freedom to live and work where ever you want. It is time to slow down and relax. 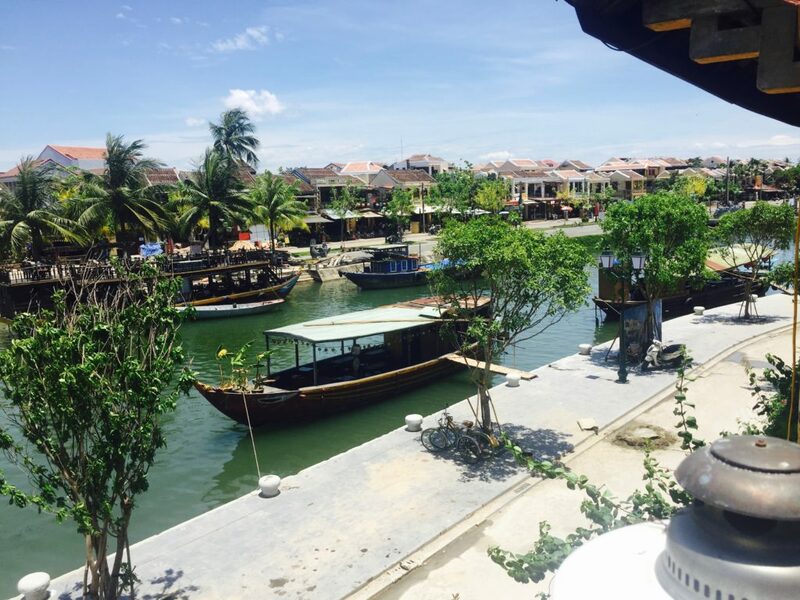 Hoi An offers little cafés in the paddy fields, local restaurants in narrow alleys, and fresh seafood directly served on the beach. 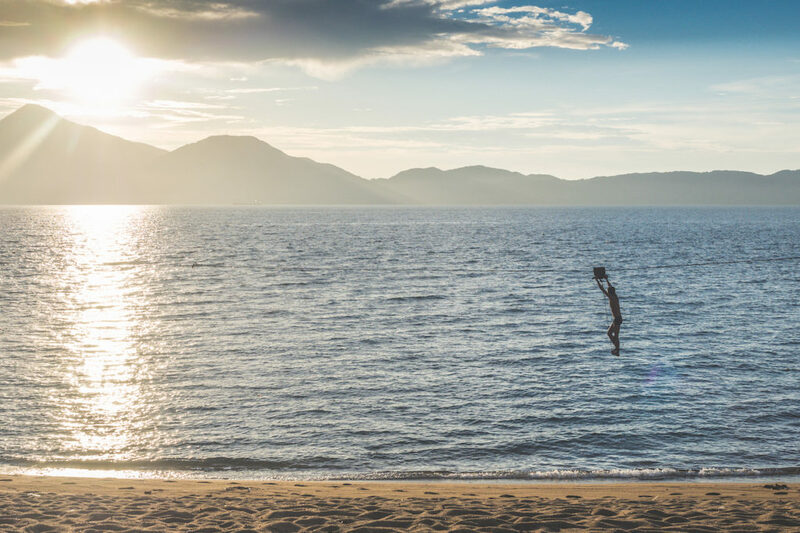 Sunrise Yoga at An Bang Beach is one of the many ways to start your day in this paradise. 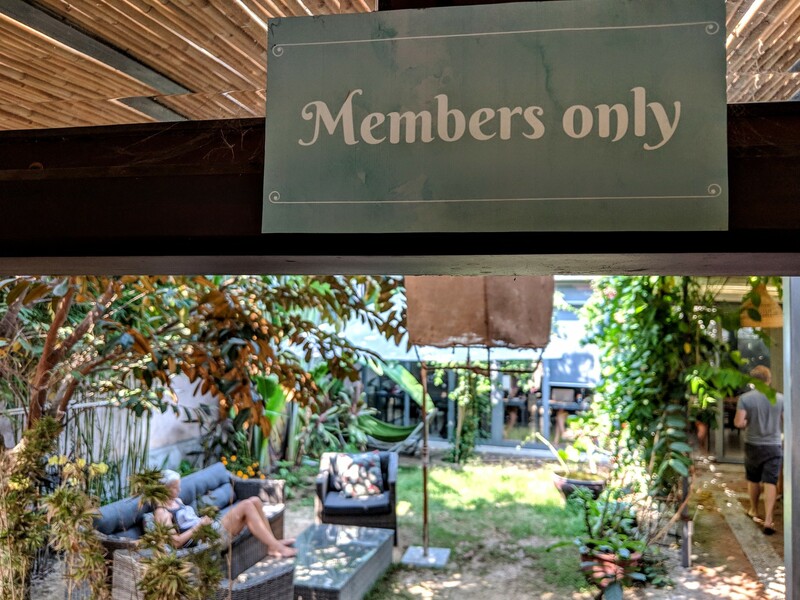 Yogis and Vegans find a lovely little community at Nomad Yoga Hoi An. International teachers give workshops and treatments and if you are keen to become a yoga teacher, Nomad Yoga also offers yoga teacher trainings. The Nomad Café is a cozy place where you mingle with other like-minded souls. 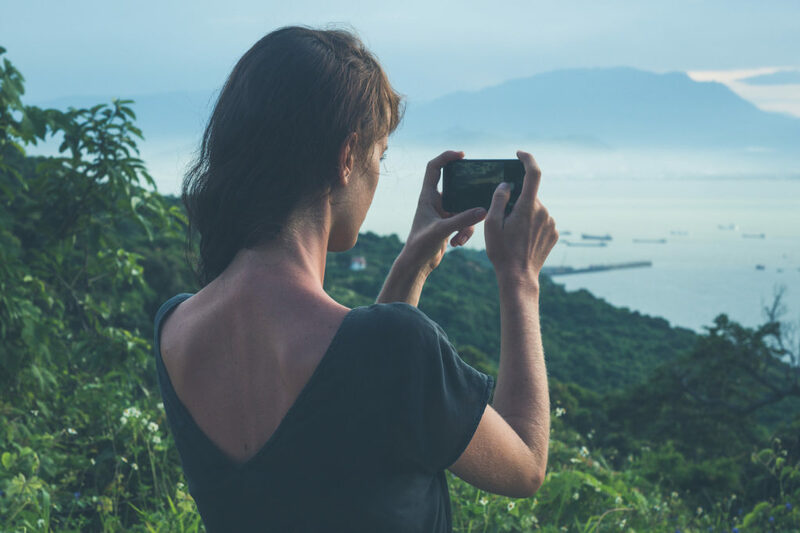 Equipped with a camera or just your phone, you will capture beautiful moments of local fishermen, market women, or farmers in Tra Que Vegetable Village. Once you take your time exploring the outskirts of Hoi An, you will find peaceful places that free your mind. 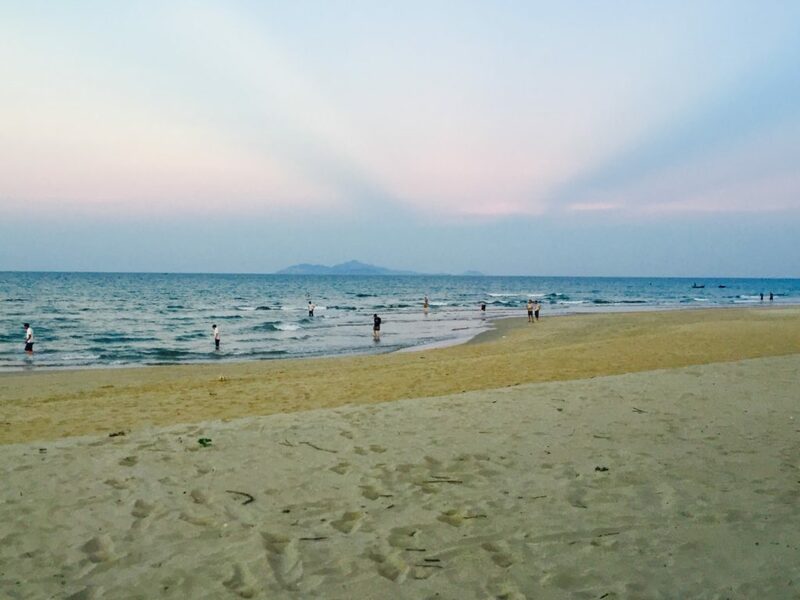 The white sandy beach of An Bang is Hoi An’s most famous spot for water lovers and sun worshippers. 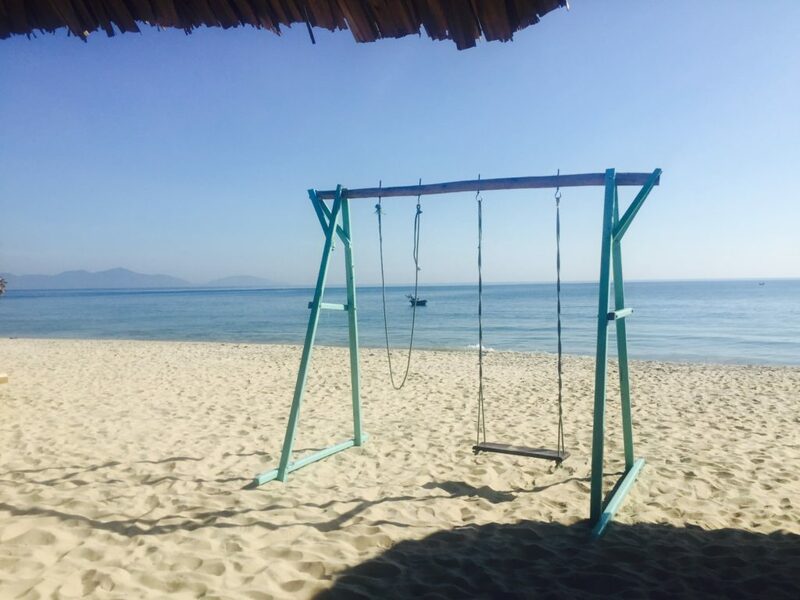 Grab one of the comfy sun beds at one of the beach bars and enjoy the view towards the Cham Island. A fresh cold coconut tops off the tropical beach feeling. If you seek for more privacy, take your scooter and drive to Son Tra Peninsula or take the ferry to the island. Both spots offer plenty of hidden beaches to explore. Hoi An is the perfect base to explore the stunning landscapes of Central Vietnam. Did you know that one of South East Asia’s most beautiful mountain roads is just around the corner? 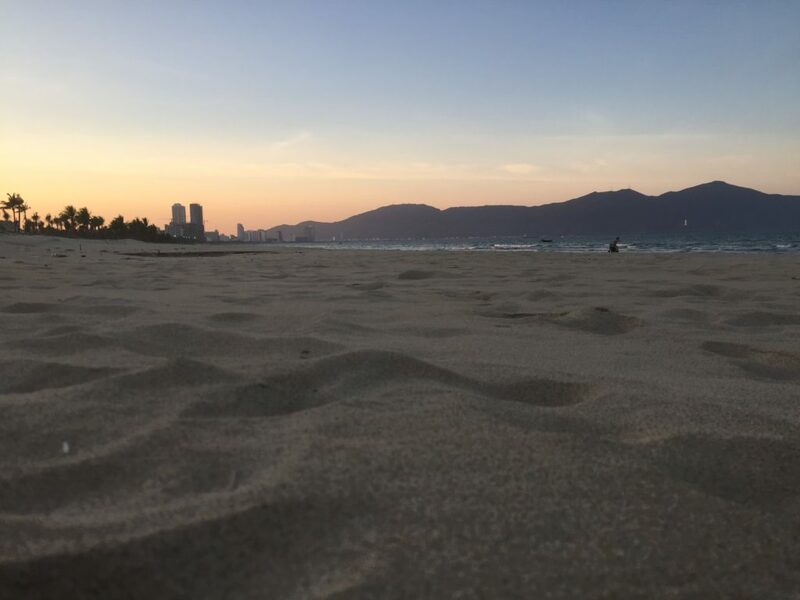 Take your scooter towards Da Nang, leave the city on your left, and follow the beach. 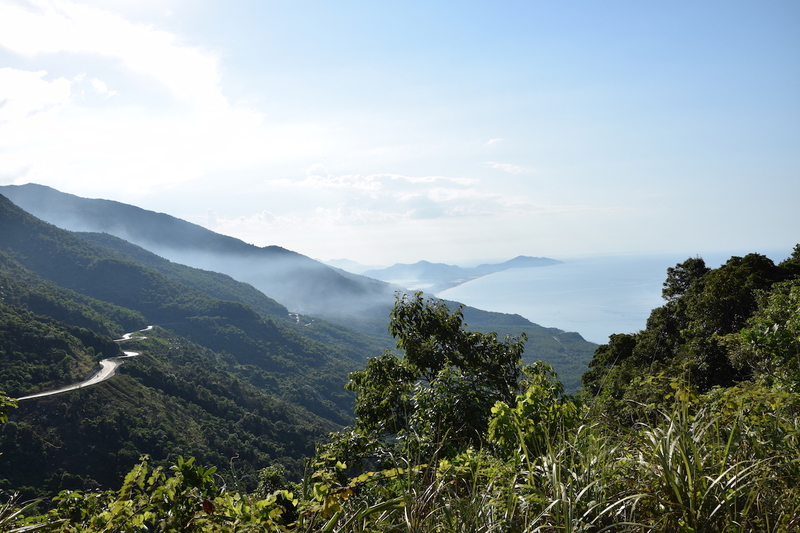 Son Tra Peninsula will be on your right while you continue up the mountains on the Hai Van Pass. 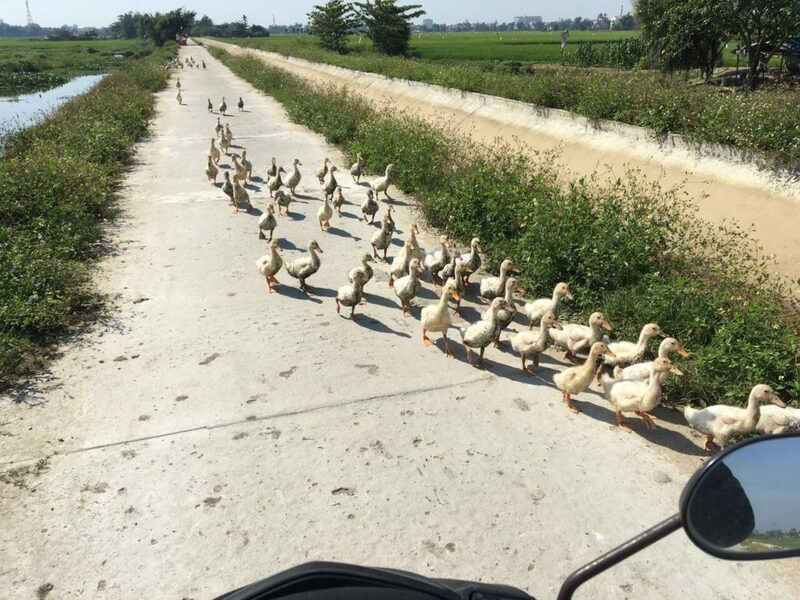 By continuing on that road, you will reach Hue within an additional hour drive. In Phong Nha, there is one of the world’s biggest cave systems, surrounded by lush green hills that lead you all the way to Lao boarder. You will find ethnic groups in the mountains, hidden in the backland of Central Vietnam. The temples of My Son, the colorful murals of Tam Thanh Village, or the offshore Cham Island are a few more options to spend your weekend away from the city. 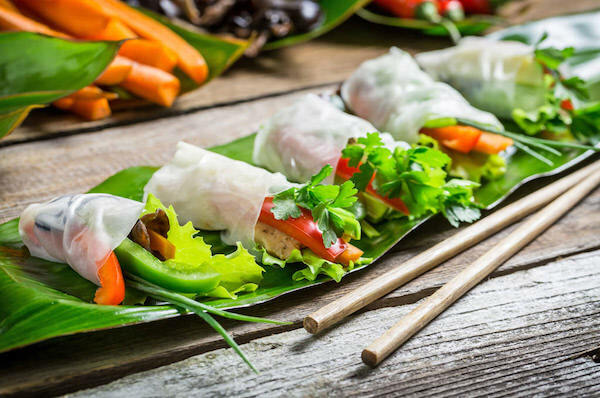 Vietnam offers you fresh, healthy and seasonal food. Seafood and fish from the rivers are found on the local markets in town. 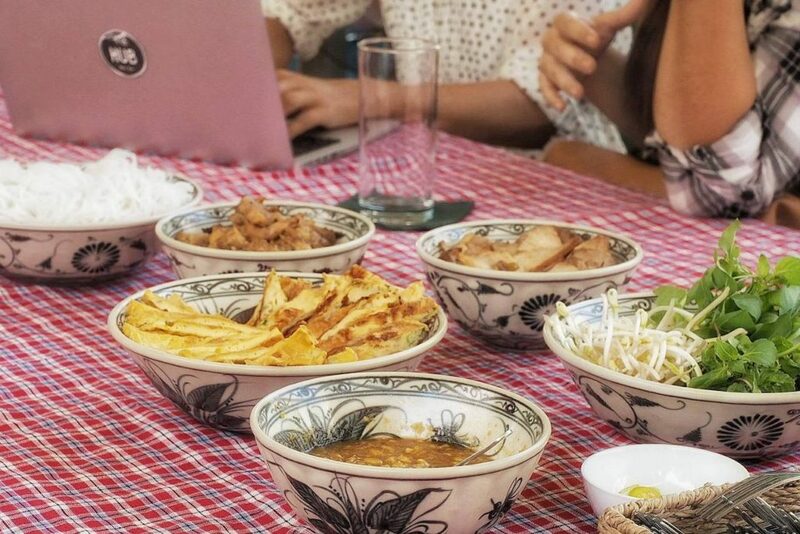 Vegetarian restaurants are popping up, and more and more vegan food is coming to Hoi An. Check out The Fisherman, the latest vegan beach restaurant. When you stay in a place with a shared kitchen, stroll around the morning markets and find a great variety of organic vegetables, fruits, eggs and herbs. Tra Que is known as the Vegetable Village and you can find a cozy little restaurant in the middle of the gardens called Tra Que Garden. My favorite vegetarian place is Am Restaurant. Vegan food is served at Nomad Café and Rosie’s Café. Besides the healthy and seasonal food, Hoi An offers many ways to continue your healthy lifestyle. Nomad Yoga is Hoi An’s most famous Centre for Yoga, Meditation and related workshops. 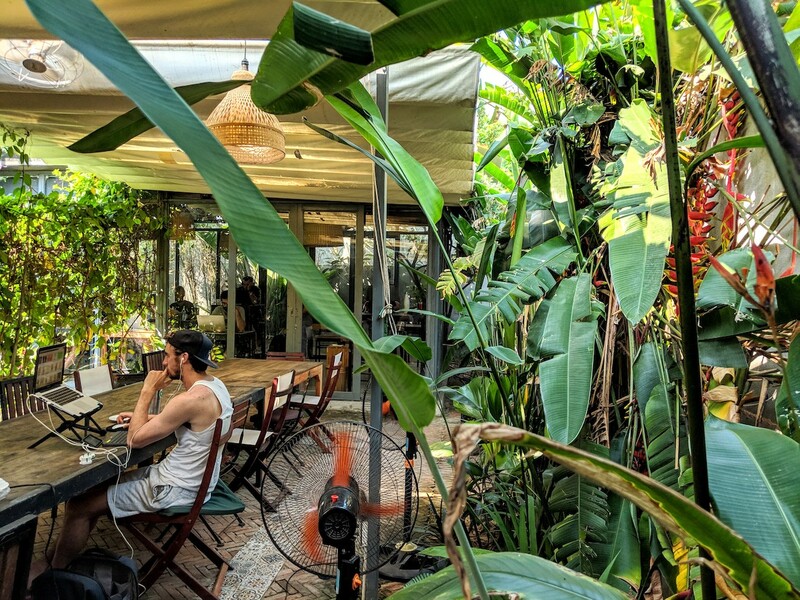 Natalie, the owner of Nomad Yoga, puts all her heart, sweat, and energy in this beautiful place that offers you a wide range of classes including beach yoga or yoga teacher trainings. The on-site Nomad Café is your address for vegan food. Hub members enjoy 10% discount on their 12-Classes-Month-Pass. Michelle, the owner of A Luminary Life opened the Meditation and Healing Centre in spring 2017 and welcomes international professional trainers, healers, coaches and Yogis from around the world. As soon as you enter the centre, you leave the traffic and noise behind, and find yourself in a peaceful and warmly decorated space. Don’t miss the colorful fruit plate they serve after each session. It will feed your soul. 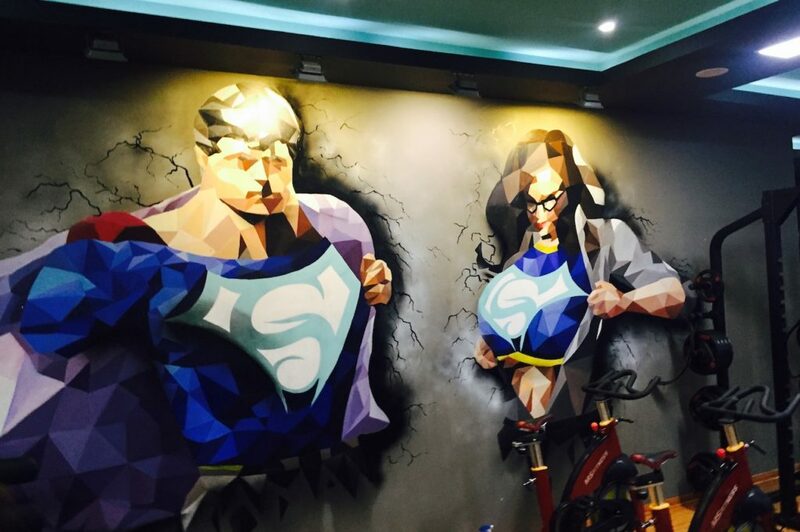 When you’re lucky, you find Tommy, the owner of Superfit, in the gym. Tommy is full of energy and welcomes you with a big smile. The trainers show you around and you have a fully equipped gym with all kinds of machines and tools you need to do your exercises. The gym offers classes including Zumba, Yoga, or Cardiofit. Hub members enjoy a 10% discount on the month and week pass. When searching for an accommodation, you will mostly find the category Villa or Homestay. A Vietnamese homestay is run by a family that provides private guest rooms, mostly in a house next door. 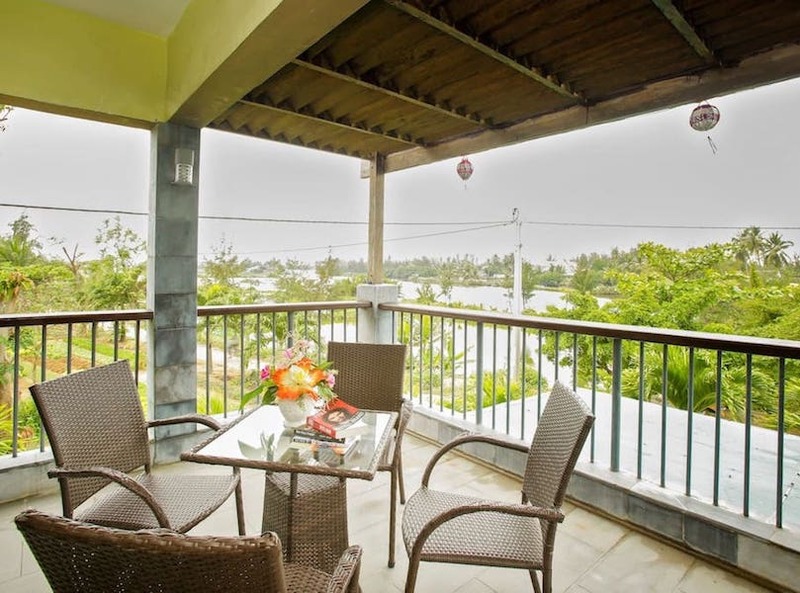 Hoi An offers plenty of nice homestays and it depends on your budget and the neighborhood you want to live in. Here are my favorite places I can recommend. Huyen Homestay is a tranquil and beautiful homestay in the middle of the peaceful Tra Que Vegetable Village. The house is directly on the river front and located in one of the quietest neighborhoods I can imagine. 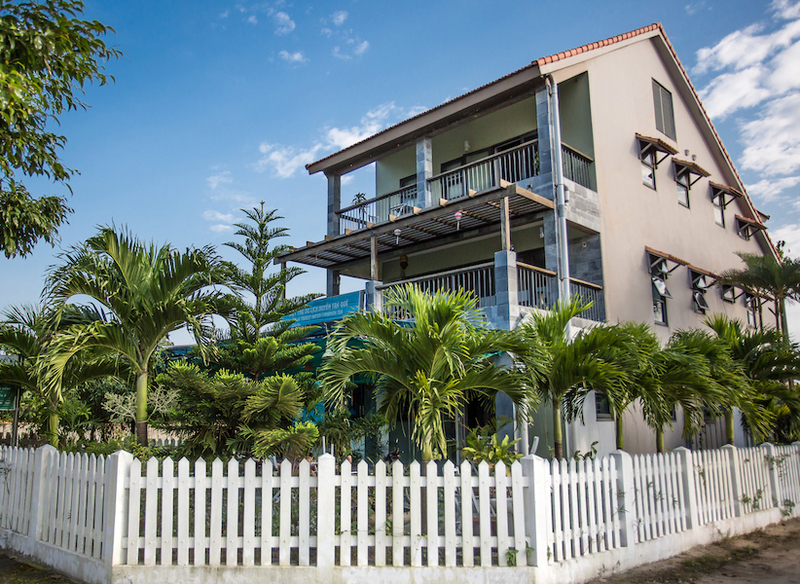 The Huyen Homestay is so beautiful that we have partnered with the hosts and created a package for your 1-Month stay. Check it out here. The Ricefield Homestay in An My is just around the corner from Hub Hoi An and as the name says, it is in the middle of the rice paddies. Mike and Hanh, the owner of the homestay, are super friendly hosts and welcome many of our Hub members. Check out our 1-Month package. Other options in An My (where Hub Hoi An is located) are the Golden Rice Villa or Pastorale Villa. Depending on your budget, you have plenty of choices in An Bang beach. 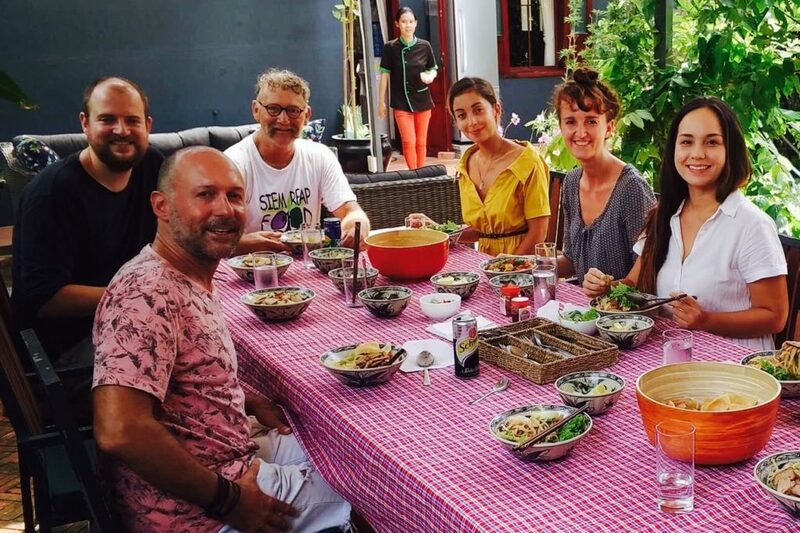 Two of my favorite homestays, where I lived in 2016 are The Cashew Tree Homestay run by Ms Quy and her family and The An Bang Beach Village Homestay. Dong, the owner of The An Bang Beach Village Homestay and Restaurant serves you the best grilled fish in banana leaves and you shouldn’t miss a chance to book a cooking class with him. Dong is full of joy and is always up for jokes and fun. I haven’t stayed there personally, but my mom was super happy with my choice: The Charming Homestay is located in Cua Dai Street, close to the Hub, and the centre of Hoi An. Ni and her lovely mother make you feel like staying with friends and family. Ms Ni helped me when I was setting up the Hub with some shopping. If you plan to stay at least one month in Hoi An, think about having your own little house in town or in the villages around. The best place to rent your new home is Nha Toi Real Estate. I’ve found the Hub house through Nha Toi and I am more than thankful to Ms Ha and the team about their outstanding customer service. Check their website for available houses. You will sign a lease contract in English and Vietnamese, pay your rent in cash, and receive the keys to your new home. It will probably be fully furnished and equipped. Another way to find a house is a stroll throught the Hoi An Expat Property Group on Facebook. Locals post daily new homes to rent. Vietnam is the fastest growing country in South East Asia and yes, when you go to the most touristy places in Hoi An Old Quarter, you can spend as much for dinner as in Europe. When you skip the Old Town, you will find much more reasonable options for food. Along Cua Dai Street, there are many Vietnamese restaurants, that offer delicious food for a low budget. One restaurant close to the Hub is 328 Restaurant in 328 Cua Dai Street. If you want a cheaper option, I would recommend Hoai Linh in Hai Ba Trung Street, a local authentic place that opens until late (10pm). Don’t worry about all the great street food options Hoi An has to offer. There is a fantastic Opla place in town (Opla are breakfast eggs served with a baguette) on the corner Tran Hung Dao / Tran Cao Van Street, opposite of Be Be Tailor. On almost every corner you can get a Banh Mi, the Vietnamese sandwich. Try the mango cakes they offer near the Hoi An Market or get some sweet potato chips from a street vendor. Hoi An is a little paradise just for foodies. By Googling Vietnam + Internet, you will mostly find complaints and negative reviews, written in 2015 or older. 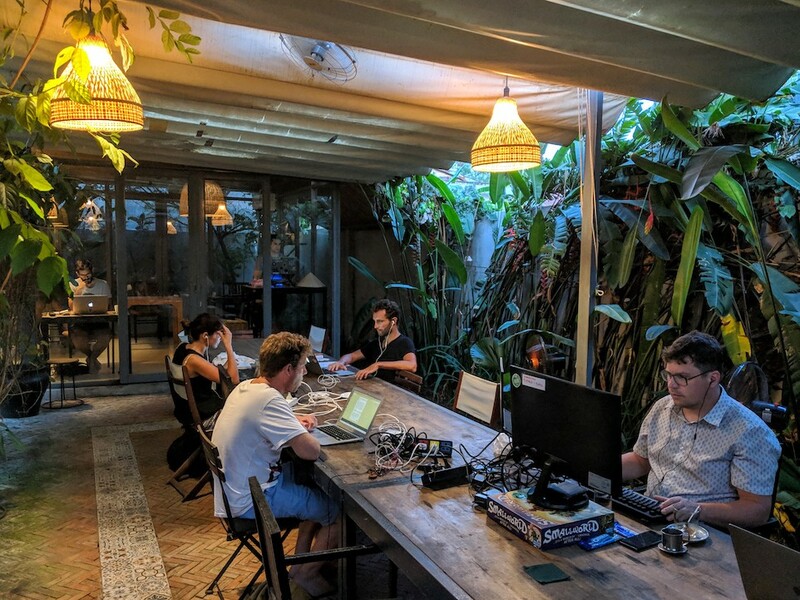 As the owner of a co-working space, in my opinion Hoi An offers better Internet than many European cities. Viettel is a good choice as an Internet provider and they offer 4G sim cards which can be topped up in their store on Cua Dai Street. The Internet at the Hub is in average 65mbps up and 62mbps down. So far, there is no reason to complain. Vietnam has fiber connections and is investing in improving the infrastructure. Did you know Hoi An offers a free City Wifi since 2012? Pretty cool, isn’t it? I do believe that Vietnam offers everything a remote working person needs to get work done. 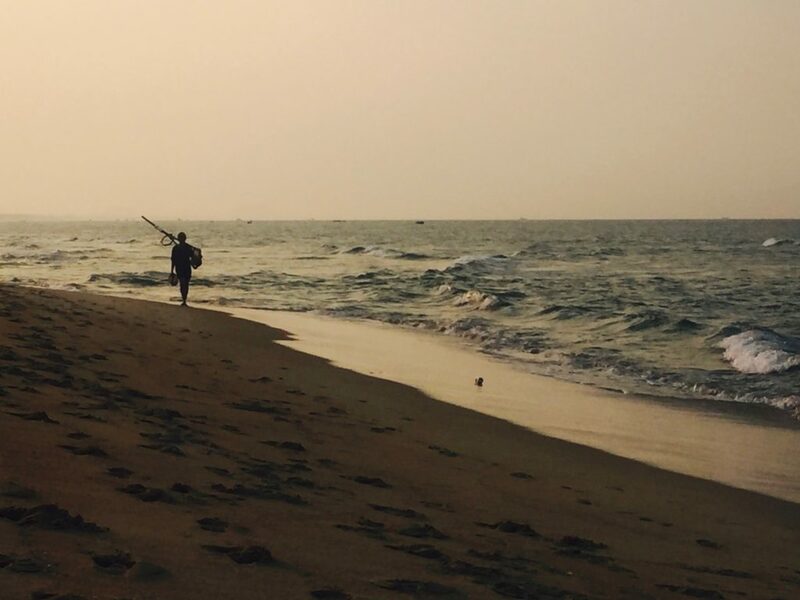 With the Hub we’re creating a lively community of local entrepreneurs, creative expats and remote working travelers. We provide the base for networking, partnerships and friendships and it is a blast to see what people have created in the Hub during their stay. 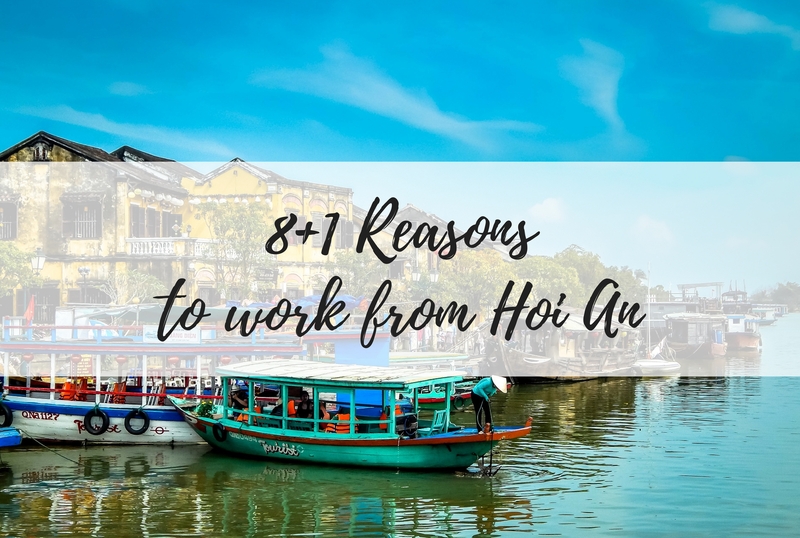 These are my personal 8+1 reasons, why working from Hoi An is inspiring and productive. 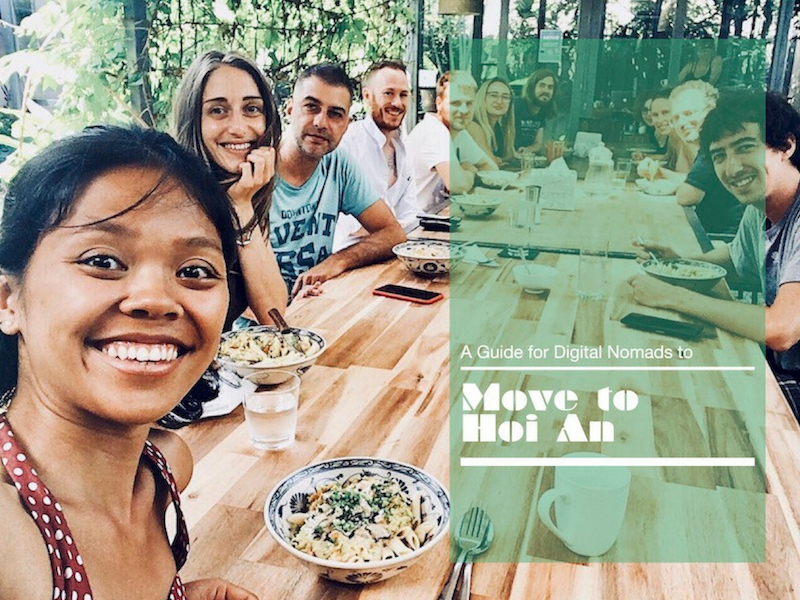 I do believe Hoi An will become the next Digital Nomad Hotspot in South East Asia. Do you agree? Let me know what you think, I am happy to receive your feedback in the comments below. thanks for extensive summary. Hoi An is really a good place on a variety of grounds. Hey Sarah, we’re coming to Da Nang near the end of December. I work remotely for a Canadian company. I’d love to make use of a co-working space. 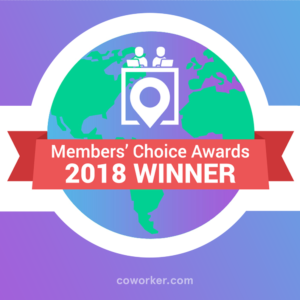 Any chance that you guy might extend your hours in future for digital nomad who work odd hours? I know they do this in certain spaces in Bali. Thanks for the article, Sarah! Yes, later this year! Maybe in March, even? 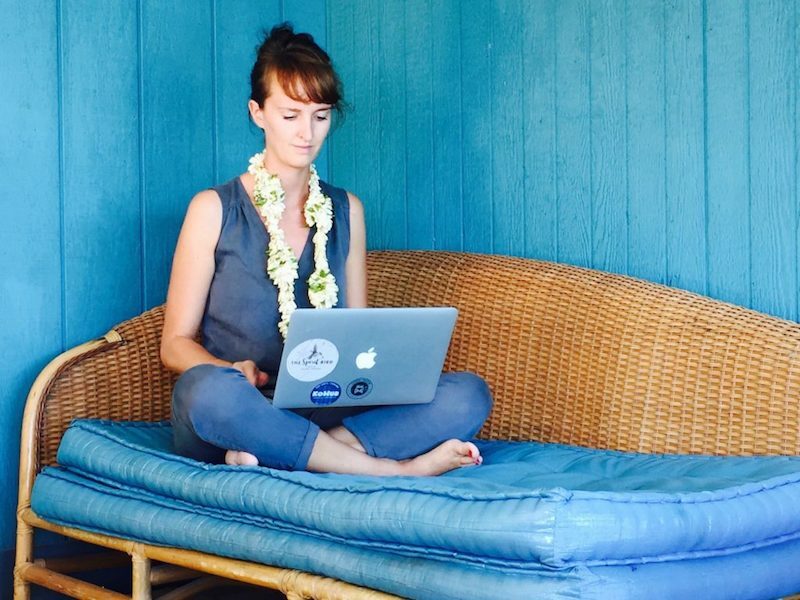 I cannot remember at this point which Facebook group – maybe Female Digital Nomads?